Entry point: Brgy. Mambucal, Murcia, Negros Occ. 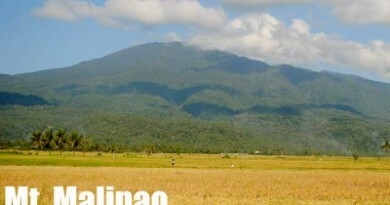 The country’s largest active volcano and Visayas’ highest mountain is Mt. Kanlaon in Negros Island. As the highest mountain in the Visayas, it is majestic. As the country’s largest active volcano, it is fearsome. Its majesty lies in its forests, waterfalls, lagoons, and culminates in its crater, vast and desolate. However, this seat of majesty is also the source of Mt. Kanlaon’s volcanic wrath. It is, after all, one of the most active volcanoes in the Philippines. Its 1996 eruption killed 7 mountaineers – in an account vividly recalled to the blogger by Rey Castellos, the guide who rescued some of the foreign climbers and witnessed the eruption, barely making it alive. The blogger himself personally experienced this volcanic wrath when, on his climb to Mt. Kanlaon in February 9, 2008, Mt. Kanlaon spewed ash and stream – a phreatic eruption which obscured everything in the mountain. The ensuing rains and violent weather ultimately prevented him from reaching the summit. earning the mountain as a tribute for his feat, hence Kan Laon, meaning “The Exalted” Laon, later becoming Kanlaon. Economically, the highland domain of Kanlaon is the source of vegetables and fruits in the same way that Benguet is the ‘Salad Bowl’ of Luzon. It provides a home for a lot of communities, who earn their livelihood from the forest products. Ecologically, Kanlaon is another biodiversity haven, home to about 197 species of flora and an impressive roster of fauna, such as the endangered Philippine spotted deer and the Visayan Warty Pig. Of course, the geologic importance of Kanlaon attracts foreign tourists who want to see the country’s third most active volcano (next to Mayon and Taal) in its volcanic glory. But also because of this danger, close coordination with DENR is a must when climbing the mountain. to be one of the most difficult and longest trails in the Visayas. The first day passes by dipterocarp forests, set in rolling slopes. The culmination of the seven-hour hike is Harding Sang Balo (Garden of the Widow), a campsite with a nearby water source. Here marks the transformation of the forest from the tall diperocarps to the montane variety. The next day is a feast for the eyes. Although a total of 164 different obstacles lie in wait on this most difficult leg of the journey, dubbed by local guides as the “Killing Me Softly” trail, there are beautiful sights such as the lagoons (Samoc lagoon, PMS lagoon). These lagoons are actually old craters of Kanlaon. The breathtaking Margaha Valley is next, and finally, after crossing the valley ridge, the cone-shaped summit-crater. 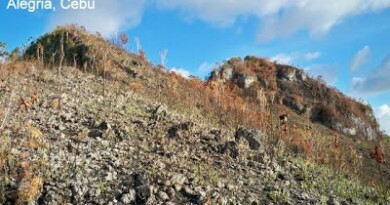 Said to be the center of the universe in some myths, the crater of Kanlaon is vast and deep, devoid of vegetation and is comprised of pyroclastic material. There is a sense of fear and wonder in camping in the summit area – the volcano can erupt anytime. The third day is the descent to Guintubdan. This could only take five hours, and is easier than the Wasay trail. The highlight is seeing the Twin Falls of Guintubdan. There are other waterfalls in the area, although they have to be visited separately. possibility when climbing using these trails (Siquijor is more proximate if using the Canlaon City trails). Climbing Mt. Kanlaon – the active volcano and the majestic mountain – is truly a profound experience that must not be missed in one’s lifetime! proceed to Mambucal Resort via jeep or minibus (P35) where one can take dip at the hot, sulfuric springs or explore the waterfalls. 1000 ETA river area. Water source. 1500 Arrival at Hardin Sang Balo (Old NPA camp). Set up camp. 1200 Arrival at Margaha Valley outer rim. Snacks / Light lunch. 1300 Negotiate trek at outer rim, continue to campsite. 1500 Arrival at campsite. 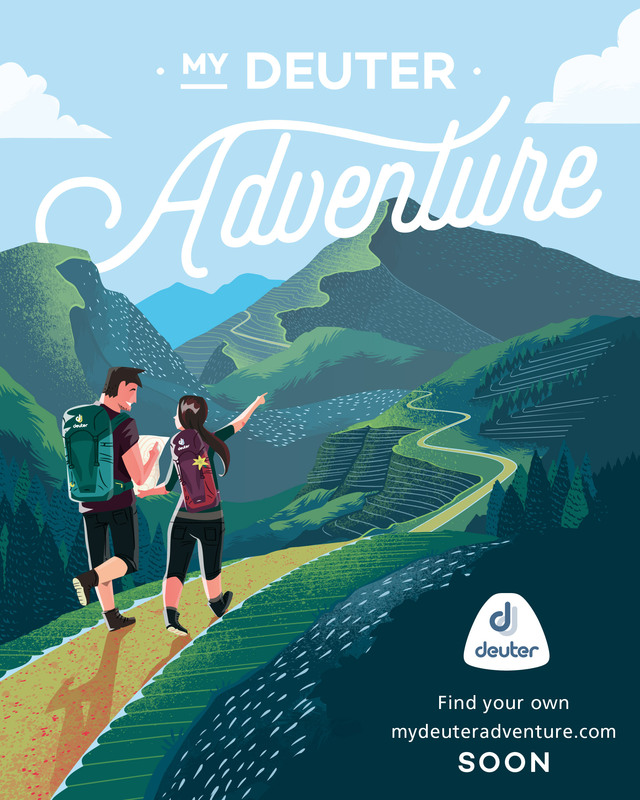 Explore summit area. The person to contact is Sir Angelo Bibar, the Park Superintendent of Mt. Kanlaon National Park (MKNP). Very kind and accommodating, he may be reached at +639173011410. Although checking the PHIVOLCS bulletin is prudent, the DENR is updated anyway and won’t allow any climbs if there is an alert level hoisted. Thus DENR is the only institution to contact. They’ll also be the ones to arrange the guides. Rate is P500/day for the guide exclusive of food and tent that you have to provide. Park fees cost P320 per person (P220 if student). to make sure they can reach the summit. Transportation from Guintubdan to La Carlota City is limited since the last trip is 2pm. However, one can rent a tricycle to La Carlota City beyond this time. The 1996 eruption of Mt. Kanlaon claimed the lives of 3 climbers: the rest had to be rescued by helicopters. It was a dramatic volcanic event, with ash being spewed 1.5 kilometers up in the air. Rey Estelloso, our guide who was also the guide during that fateful incident, says he was just 16 when the eruption happened and they could even see flaming cinders being hurled from the crater, exploding in the ground like grenades. 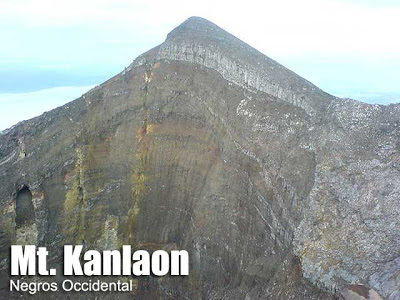 He also says that Kanlaon is one of the the country’s deadliest climbing destinations. One climber who fell on the Margaha Valley ridge had to eat tissue paper for seven days before being rescued! Truly one must exercise caution in climbing Kanlaon. The blogger thanks Sir Angelo Bibar for facilitating his trip to Mt. Kanlaon; as well as the Sanicas and Agarao families of Bacolod City and Victorias City. Crater photo courtesy of Sir Ogos Asuncion. 66 Comments on "Mt. Kanlaon/ Wasay-Guintubdan (2,435+)"
2 slots available para sa Mt. 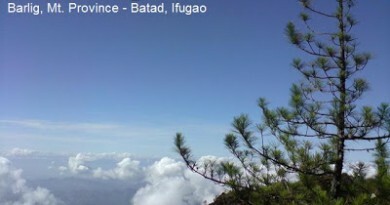 Kanlaon via Guintubdan-Wasay Trails (April 16 – 18). Kung interested po kayo, just contact me @ 09197223166. Thanks and God bless. mag kano po budget for mt. kanloan? Any tips and additional info on climbing this mountain? Info on limatiks? Water sources? Ilang liters ba kailangan dalhin? etc. Salamat po.